In my little blogging world, I am most regularly invited to singer-songwritery events, filled with acoustic guitars or a lone keyboard, mournful relationship lyrics over major chords. But the bluesy sound of Damian Sage broke through the glass ceiling of singer-songwriterdom, proving you can make anything old, new. Backed by guitarist Brian Simpson, drummer Jamie Douglass, and bassist Ted Russel Kamp, Sage took the intimate, but enthusiastic audience on a journey back. 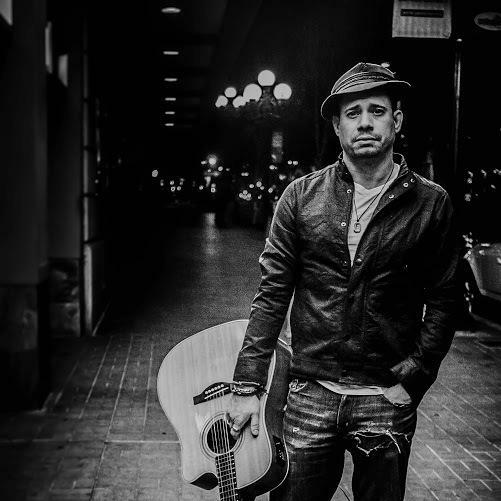 With classic rock and bluesy sounds so familiar and comforting, yet flavored with Sage’s unique storytelling, his music is like an Old Fashioned laced with something unexpected and exciting. The night was filled with Sage’s intense and surprising originals, stories pulled from his childhood in New York and past relationships, with the occasional nod to some of his favorite LA bands, The Doors and Guns N’ Roses. With the conclusion of each story, the crowd’s cheers grew louder, ebbing Sage on, begging for more of this rare, soulful sound the commercialized city is starving for. By the end of the too short set, the audience called for an encore, but were left with the bittersweet remnants of a powerful lesson in storytelling and staying true to yourself. The video for Sage’s “Caught Between The Rhymes” will air on new reality series The Romance next month. And remember to stay bluesy.